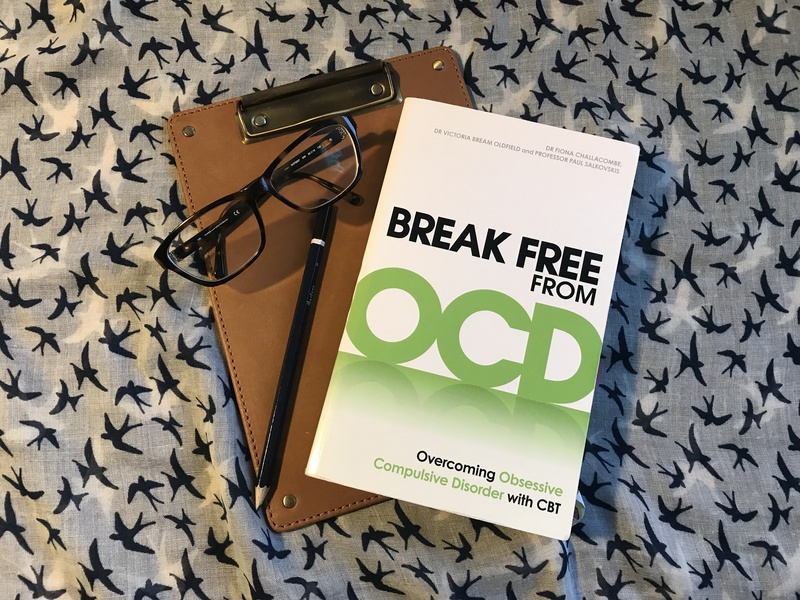 ‘Break Free from OCD’ is a self-help book offering understanding and practical steps, for what is often a very distressing and misunderstood condition. You can read more about OCD in my June 2018 edition of Forrest Rambles. I discovered this book whilst attending a workshop with one of the authors, Paul Salkovskis. At this point I’d been treating people living with obsessive compulsive disorder (OCD) for about seven years. This workshop and the book which I read afterwards, introduced me to a slightly different way of applying the principals of cognitive behavioural therapy (CBT) which I have found to be very effective. The first four chapters of ‘Break Free from OCD’ aim to increase our understanding of OCD, looking at what it is, how it develops and why it remains a problem. The middle section of the book gives practical CBT strategies for breaking out of the cycle of OCD. The final two chapters give advice for family and friends, and address how to keep OCD away. There’s also a great resources section, appendix of all the forms you’ll need, and a useful index. The book focuses on four different types of OCD: checking, contamination, rumination and religious; however it’s useful for any type of OCD. The book refers to case examples which helps to bring it to life and gives ideas on how to apply CBT theory to your day-to-day life. I like the layout of the book. The chapters are split up into logical side headings and ‘key ideas’ are highlighted in bold type with boxes around them. Diagrams and tables are put to good use and each chapter ends with a useful summary. I’ve used this book with numerous clients alongside one-to-one CBT sessions and all have given positive feedback. Clients say that it helps them to have a deeper understanding of what we cover in sessions, acts as a memory aide and also gives them reassurance when completing treatment as they know they can dip back into the book if needed.